Jaded Blossom: Cheesy Birthday Greetings! Jamie here and I made a cute card using this month's Spotlight Set Mouse Bites! I started with the Card Mat Die and stamped a sentiment from Mouse Bites. Then I used a triangle from Card Layer Dies 1 and Stitched Circle Dies to create the "cheese". 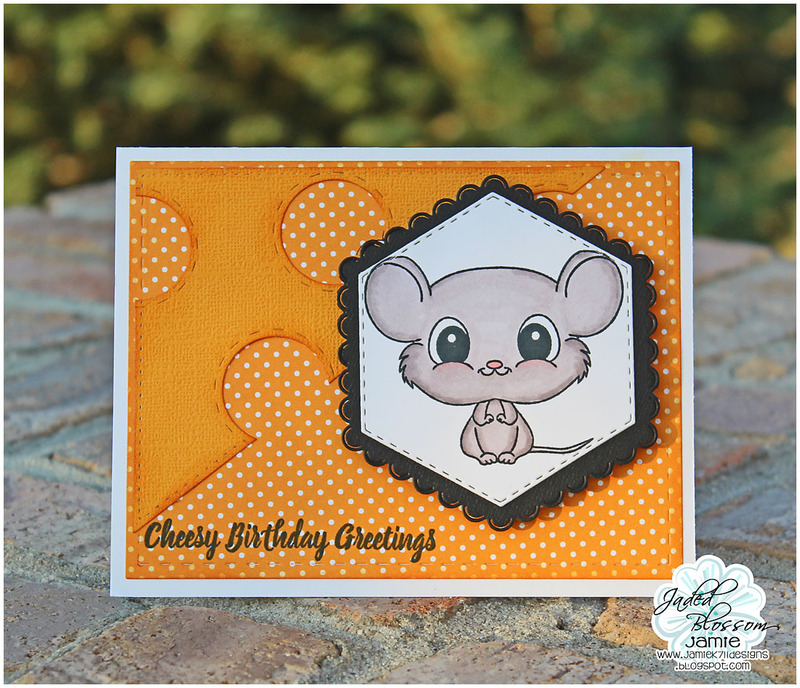 Last I stamped the mouse to a Stitched Hexagon Die and colored with Spectrum Noir markers, then added it to the Scallop Hexagon and pop dotted to the card. I love this ... so cute and your mouse is darling!